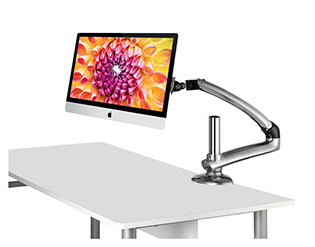 Product Includes: Articulating arm and desk clamp base with 8" pole. 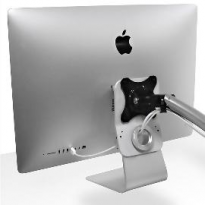 Mounting Options: Includes desk clamp mounting base. Grommet Mount is available as an accessory ad-on. Desk Thickness for Clamp: 1.25" - 2.5"
Height Adjustment: up to 14"